MARQUETTE — It wouldn’t be a Michigan Tech-Northern Michigan University volleyball match without drama and excitement. Tuesday night was no different as the Huskies escaped a furious NMU comeback in the fourth set to earn a 3-1 road victory in a packed and energetic Vandament Arena. Tech won the match 25-23, 25-22, 23-25 and 26-24. Both teams are now 9-2 on the season, while Tech improved to 3-0 in the GLIAC. 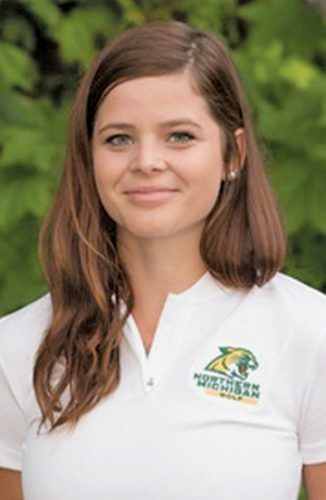 The Wildcats dropped to 1-2 in conference play with their second straight GLIAC loss. MTU head coach Matt Jennings said he wasn’t surprised at how close the match was against a strong GLIAC opponent and rival like NMU. “It certainly was a tight game like we expected it to be,” he said. “Every time we play Northern these last couple of years, it’s been a battle. I’m really proud of the way we held on in the fourth set in particular but also the match was won in those first three. NMU head coach Mike Lozier said he’s proud of the way his team battled back, but still needs to take those battles and finish. “They showed a ton of resiliency and that’s been one of our strengths all year,” he said. “We have to keep working and getting better but we have to show the flashes they showed in the fourth set, the third set, even the first and second sets, we beat them to 20 both of those sets and then they (the Huskies) ended up pulling ahead. Set 1 was as close as can be with the largest lead of the set just five points. With MTU up 9-8, the Huskies notched the next four points on two kills from junior middle blocker Emilia Widen along with an attack error and a service ace from sophomore outside hitter Anna Jonynas. NMU battled back, eventually tying the set 16-16 on an MTU attack error. The Huskies got the next. The Wildcats later took the lead 18-17 on a kill from senior outside hitter Maggie Liebeck. After some more back-and-forth points, the game was tied at 23-23 when the Huskies scored the final two points on a kill from sophomore outside hitter Olivia Ghormley and an attack error to claim the set. Set 2 was just as close, this time the largest lead being only three points. After trading punches throughout, the teams found themselves tied at 22-22 before Tech scored the final three points, this time on a kill senior right side hitter Mariah Sherman and consecutive aces from junior defensive specialist Kristine Fink. NMU tallied the first three points in Set 3 on two kills from junior middle blocker Sarah Kuehn and an attack error. MTU answered with four points of its own. 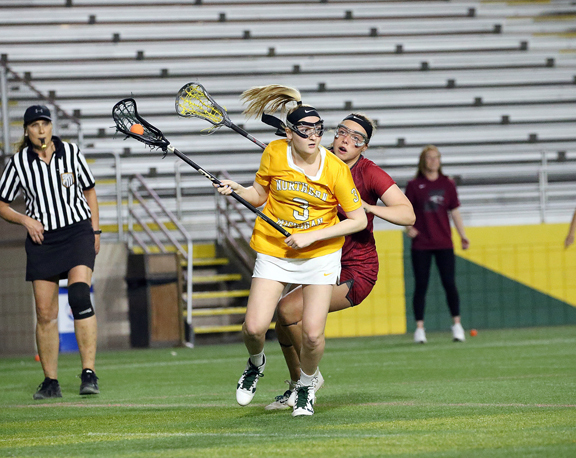 Later on with NMU down 9-7, the Wildcats earned the next six points to go up 13-9. Tech kept things close, eventually tying the set at 20-20, but the Wildcats finished off the set with the final two points coming on on a kill from Kuehn and an ace from senior outside hitter Autumn Monsma to make the match 2-1. Set 4 turned out to be the most exciting of the night for fans at Vandament. MTU took off 6-0 lead before NMU finally got on the board on an attack error. Down 17-7 later on, the Wildcats got the ball rolling. 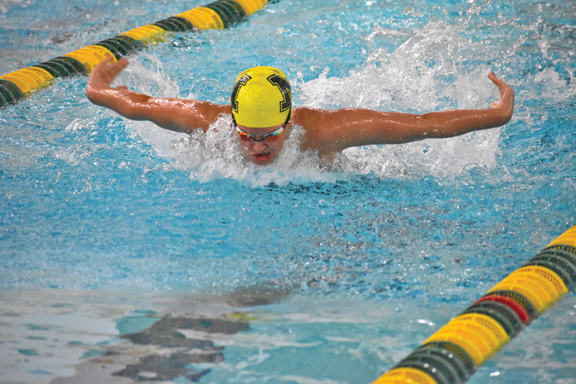 NMU roared back with 11 consecutive points to pull ahead 18-17 and helping the crowd come to life. 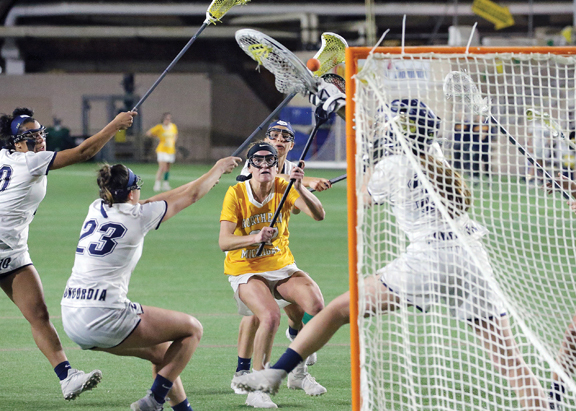 Tech finally got a point on an attack error to tie it at 18-18. The Wildcats got three of the next four points to go up 22-19, but Huskies eventually climbed back and tied the game at 23-23. 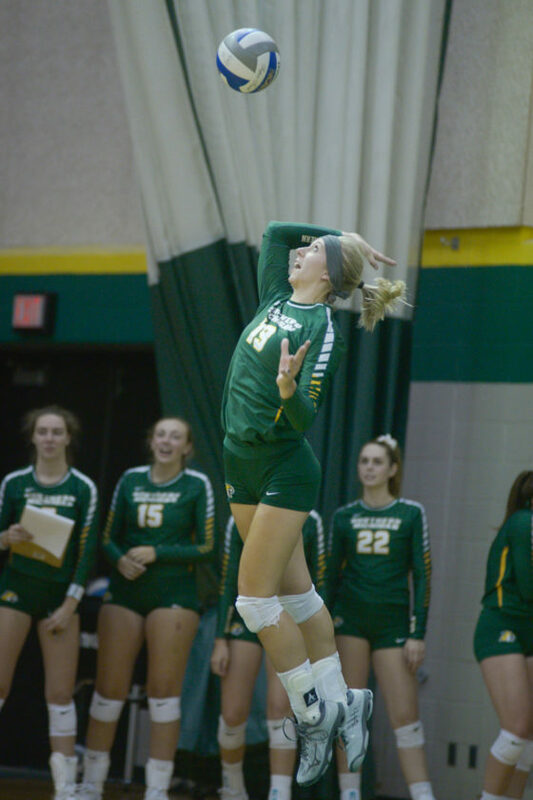 NMU got to set point on another attack error before Tech got the final three points and claimed the match on an ace from freshman defensive specialist Grace Notovny. Lozier said he had to become a fan himself after burning up his timeouts for the early hole in the fourth. Jennings said despite giving up 11 straight points, he always told his girls it was about the getting the next one. Jennings also credited the Wildcats for the strong showing in the fourth. Ghormley led the Huskies with 16 kills while Sherman had 13. Sophomore setter Laura DeMarchi had 35 assists while Jonynas had 17 digs. The Wildcats were led by Liebeck with 15 kills, while Kuehn and sophomore outside hitter Leticia Antunes had 14 kills each. Senior setter Lynzi Svoboda had 37 assists and Antunes and freshman defensive specialist Alli Yacko both had 17 digs. Monsma added four kills and 16 digs. 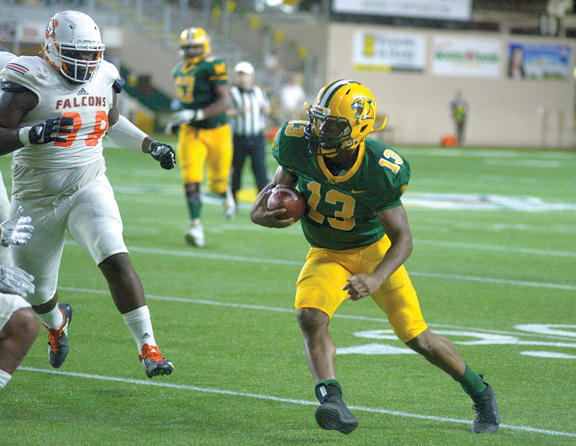 NMU hosts No. 11 Ferris State (8-3, 3-0 GLIAC) Friday at 7 p.m. while MTU returns home for the first time in 11 matches to host Northwood (5-6, 2-1 GLIAC) at the same time.